For individual developers, getting an application into the iTunes App Store is pretty straightforward, once you know the tricks. For developers working in large companies, there's a number of legal and administrative complexities that can make your life miserable, if you don't think of them ahead of time. In this webcast, you'll learn about a basic checklist of things to get organized so that your product launch goes smoothly, drawn from the upcoming book "Developing Enterprise iOS Applications." James Turner, contributing editor for oreilly.com, is a freelance journalist who has written for publications as diverse as the Christian Science Monitor, Processor, Linuxworld Magazine, Developer.com and WIRED Magazine. In addition to his shorter writing, he has also written two books on Java Web Development ("MySQL & JSP Web Applications" and "Struts: Kick Start"). 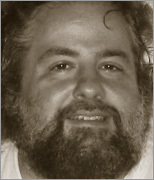 He is the former Senior Editor of LinuxWorld Magazine and Senior Contributing Editor for Linux Today. He has also spent more than 25 years as a software engineer and system administrator, and currently works as a Senior Software Engineer for a company in the Boston area. His past employers have included the MIT Artificial Intelligence Laboratory, Xerox AI Systems, Solbourne Computer, Interleaf, the Christian Science Monitor and contracting positions at BBN and Fidelity Investments. He is a committer on the Apache Jakarta Struts project and served as the Struts 1.1B3 release manager. He lives in a 200 year old Colonial farmhouse in Derry, NH along with his wife and son. He is an open water diver and instrument-rated private pilot, as well as an avid science fiction fan.